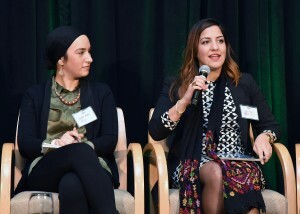 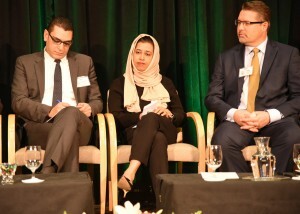 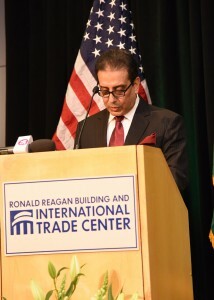 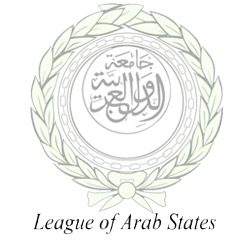 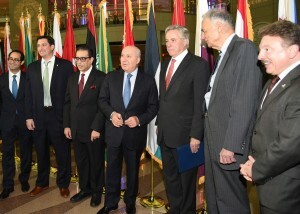 Arab League and Council of Arab Ambassadors hold the fourth annual Arab-American Day , December 4, 2015 accompanied with a forum on U.S.-Entrepreneurship and Innovation with 30 expert speakers. 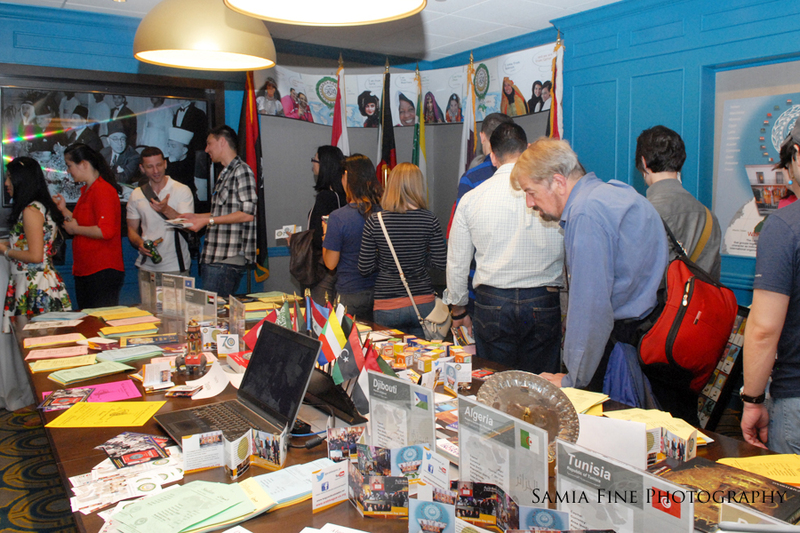 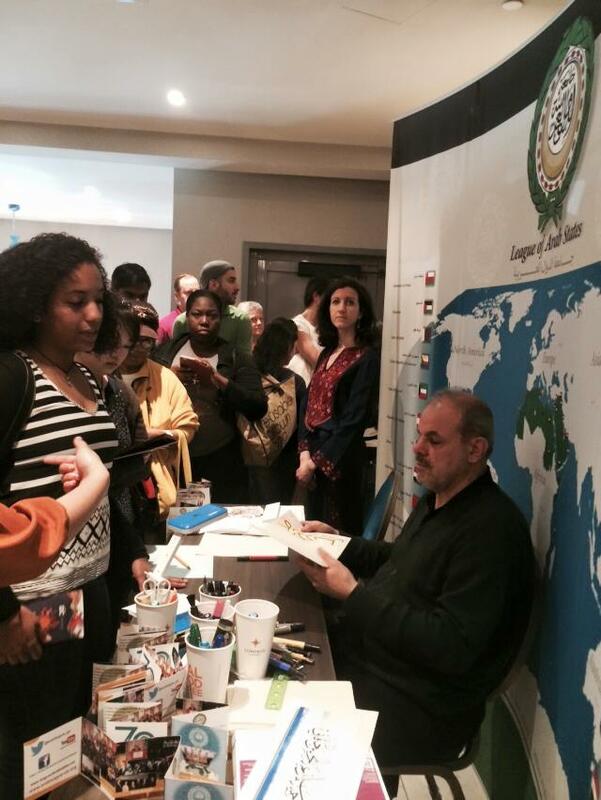 Arab League participates at PASSPORT D.C.
Thousands of visitors checked out the Arab League hall representing the 22 Arab Countries, member States, cultures and basic information as part of Open Embassy Day which is an event successfully organized by “CULTURE D.C.” for the eighth consecutive year. Entrance to the Arab League hall at Embassy Row Hotel at the beginning of the Embassy tour day, with a map of the World highlighting the Arab region. 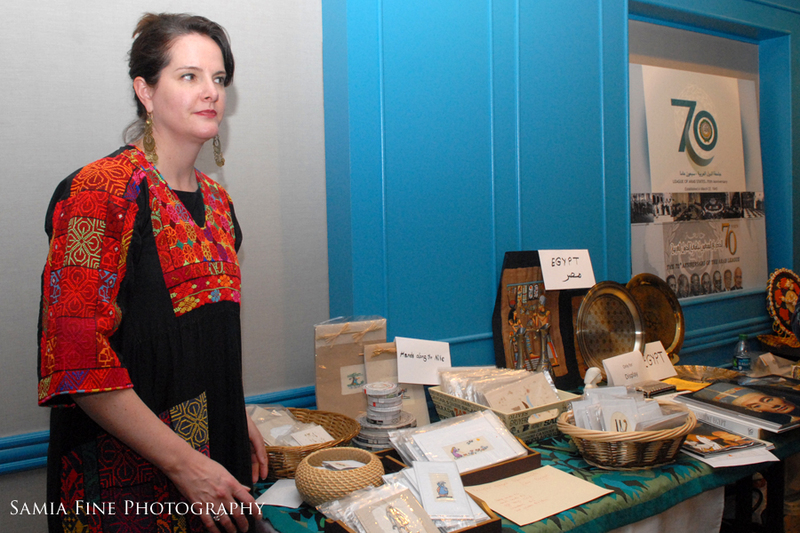 Ambassador of Libya to the U.S. attended the event , here with Ms. Jan Du Plain the Passport DC embassy Liaison. 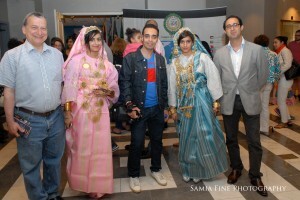 Volunteers with traditional and folkloric costumes greeted the guests all day long showcasing the rich embroidery and textile of the Arab traditional dress and handicrafts as well. 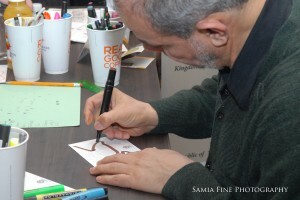 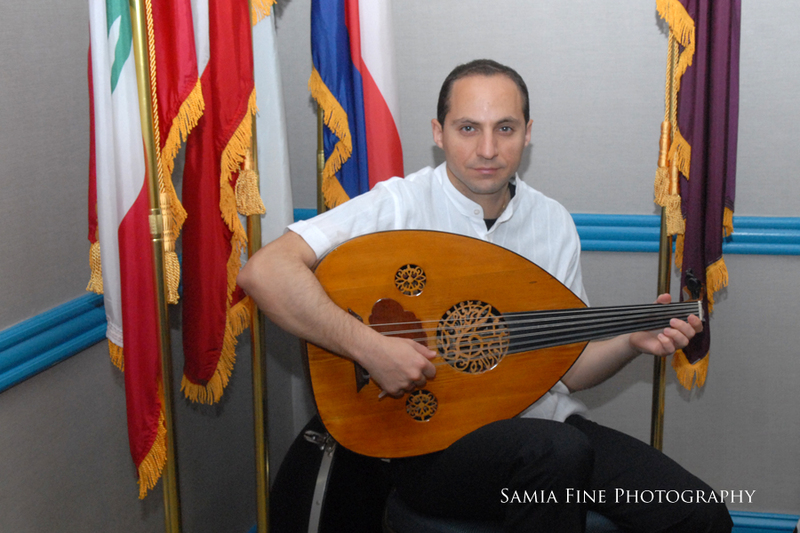 Jordanian Oud player and composer Abdel-Wahhab el-Kayalli performed different original Arab masterpieces of traditional music from all parts of the Arab region. 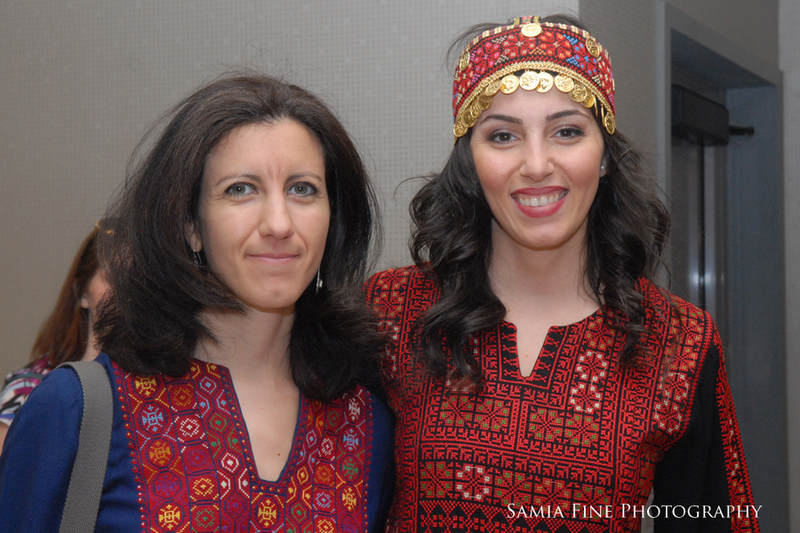 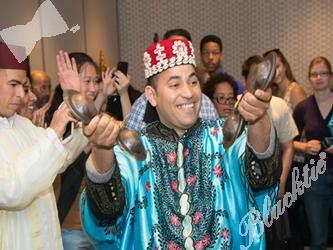 Moroccan Singers and folk dancers highlighted the festival with Cheer and happiness. 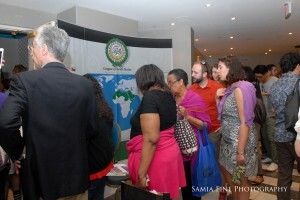 Posters and Banners explaining the culture and basic info on every Arab Country decorated the Hall , with kind participation from Oman Culture Center in DC, Hands along the Nile, Egyptian Culture and Educational office in DC, Qatar Foundation International, United for Palestinian Appeal, DC Arabian Sights Film Festival, Muslim Women Association, The Arab-American Historical Foundation, Arab-American Almanac, Washington Report, together with active participation from Lebanon , Sudan, Emirates, Egypt, Kuwait, Bahrain.. and most of the Arab Embassies in Washington D.C.
Great Participation from Libya (see photo of Libyan folk dresses) and Morocco in Separate booths at Embassy Row Hotel complemented the Exhibition of Arab Culture in the event.